Your idea can earn you a full 4-year tuition scholarship to HPU! Fusing unmatched cultural diversity with personal support in a deliberately intimate learning environment, HPU enables students to get up-close and personal with the subjects they’re most passionate about. And when they do, they are empowered to see further and to do more. It’s how we ensure our graduates enter a competitive global workplace market-ready. Living in paradise is easy. Solving our challenges is hard. Let's develop ideas and take action to create a positive social, environmental, or economic impact for Hawai‘i! Your idea can change Hawai‘i's future and your future. As a Hawai‘i high school senior, you can be one of four participants to receive a full 4-year tuition scholarship to HPU. Thank you for your interest in the HPU4HAWAII Scholarship Challenge. The submission deadline has passed. 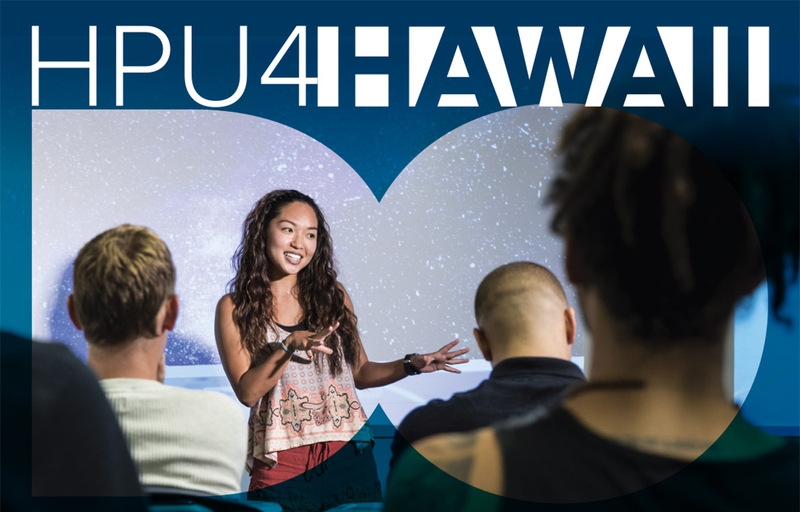 Congratulations to all of our finalists and winners of our 2018 HPU4HAWAII Competition. Courtnee Elento, Damien Memorial High School; Ciara Ratum, Saint Francis High School; Tina Loos, Maryknoll High School; Victoria Kashiwai, Hanalani Schools; Josiah Swanson, Homeschool; Janelle Ann Mateo, Waipahu High School; Branndon Evans, James Campbell High School; Jaya Belyeu, Kahuku High School.